Fridays have never sounded so good. We had not one, but two, Friday Live performances to get us in the mood for Jacaranda Day on Saturday 2 June. Lillia Lissev, the Jacaranda Day opening joins us for a special #FridayLive. She beat thousands of musicians and artists to win the chance to perform on the same stage as some of the hottest names in the industry. 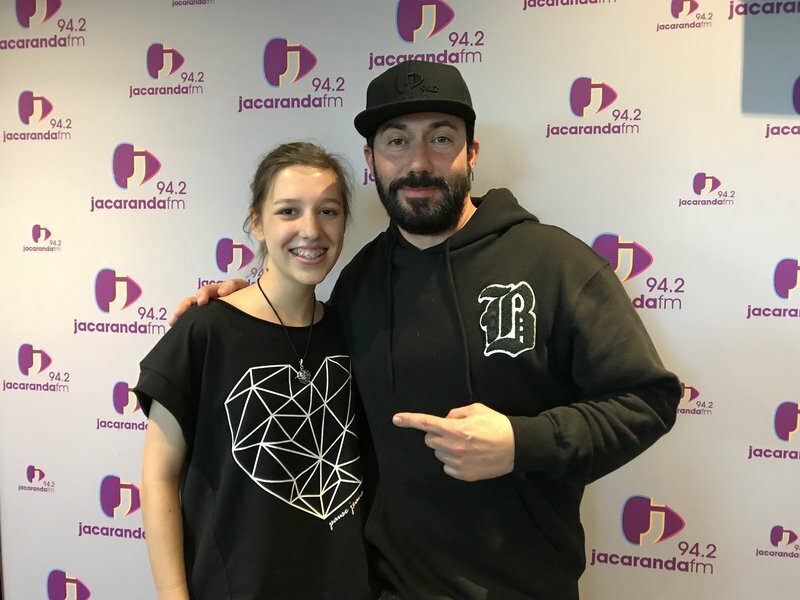 The 14-year-old from Pretoria has a voice of an angel. Lillia Lissev sings The Lumineers' 'Ho Hey' on Breakfast with Martin Bester. Lillia Lessev is a young talent. She started singing lessons two 2 and half years ago and also plays guitar and ukulele. In the last year she started expressing herself through her own songs with both composing the music and writing her own lyrics. A humble, quiet, "non prima donna" girl, with a soft heart and love for animals. Most of all, immense passion for music! We cannot wait to see her at Jacaranda Day. Your favourite stars are gearing up to put on the best show! Get your ticket here to join us at the Monument in Pretoria for the hottest event of the year. For all the dos and don’ts for this year's event click here.